Confronting racism can be hard. That’s true if it’s the explicit racism seen in white supremacist demonstrations in Charlottesville this month or more implicit institutional racism that exists in everyday life. 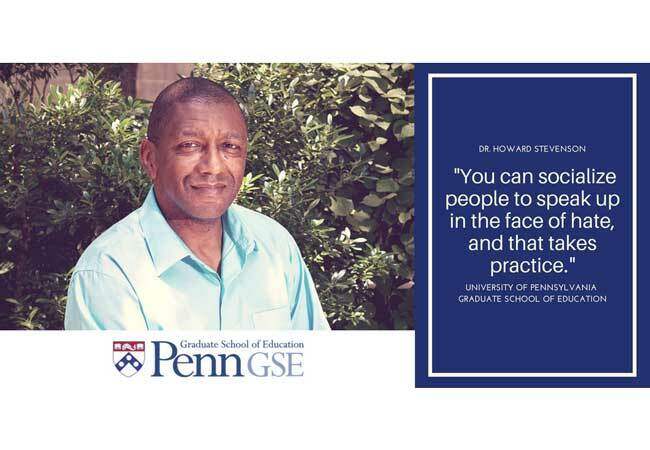 Because it’s hard, we have to practice, according to Penn GSE’s Howard Stevenson. Appearing with Rev. Mark Kelly Tyler and Rabbi Mordechi Liebling, Stevenson stressed that it’s important for people who are the targets of racism not to become consumed with hate themselves. He also stressed that people cannot lose sight of the humanity of others.